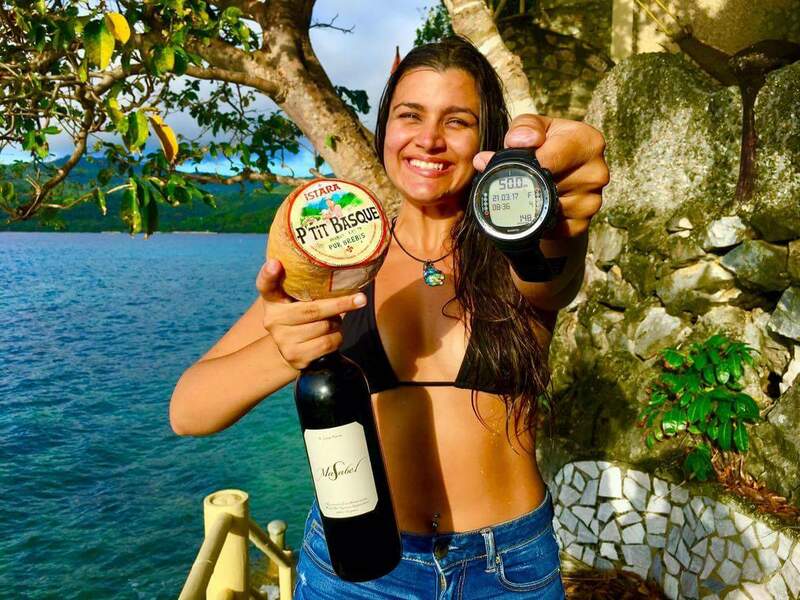 It is said that dairy products and alcohol increase mucous production which may make equalization difficult, but we say consumption of both to celebrate a perfect dive is certainly good for you. Congratulations on a new personal best of 50 meters (164 feet) on a single breath, Kyla. And thanks, Sylvain of Omniblue Freedive, for the celebratory wine and cheese.